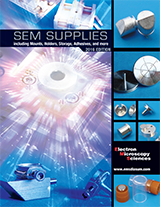 Electron Microscopy Services was established over 25 years ago, and has been committed to providing consistently high-quality products, coupled with unparalleled customer service to its diverse community of customers. 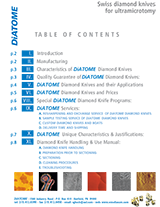 EMS features a recently expanded product line that now includes products for biological sciences, materials science and histology, so as to best serve the research community. EMS also importantly incorporates relevant MSDS’s, technical tips and recently published technical articles to ensure that all high-quality products are matched with high-quality literature to meet all research needs. EMS stresses an important and close relationship with the research community, and thus utilizes its website as a valuable reference tool. Welcoming suggestions, input, special requests and other technical inquiries are but a few avenues through which EMS works towards best serving its loyal and valued base of customers. With this in mind, friendly service, quality products and competitive pricing are three important pillars upon which EMS has based its operations since its beginning. 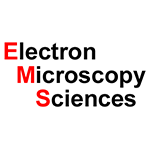 Electron Microscopy Sciences (EMS) specializes in the manufacturing, preparation and distribution of the highest quality chemicals, supplies and equipment for microscopy and all of its related fields. 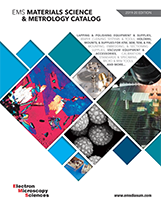 Through expertise and in-depth market knowledge, Electron Microscopy Sciences has seen substantial growth and has been able to serve a wide demographic of valued customers. Cedarlane is pleased to offer the high-quality and performance products provided by EMS.